Google Business Websites are currently being rolled out globally by Google My Business. The new Google business websites are completely free and available to all businesses that have a verified Google business page. The Google business website is a single page, mobile friendly site with business information being extracted directly from the Google business listing to the website. What are Google Business Websites? Google Business websites are free single page, mobile friendly websites for businesses. A Google business website is only available to businesses that have a Google business page. If you do not have a Google business listing you can start here. If your business has an unclaimed listing, you will need to claim the business listing to gain access. You will be eligible for the website as soon as you have created the business listing, even whilst waiting for verification, however if the listing gets suspended, then the website will be 404’d. How to Create a Google Business Website? Your Google business website can be up and running is seven pain free steps. The main parts of the site are auto populated based on information already available in the Google business page, with the only real functionality being Images, Headline, Subheading and Body Copy. 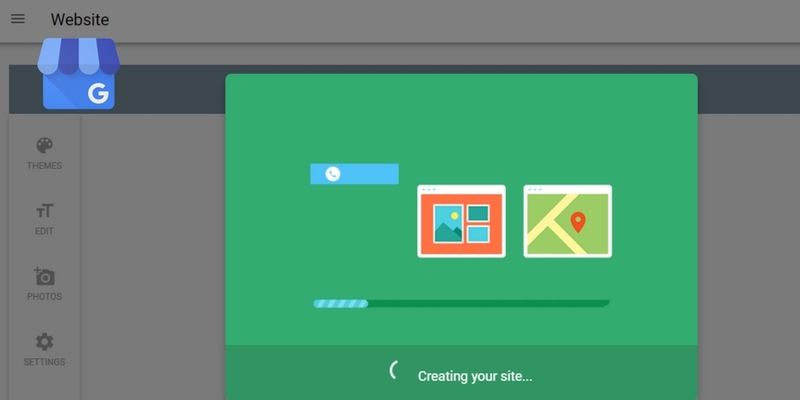 See full step by step and video on how to create a Google business website. Are Google Business Websites SEO Friendly? The Free Google Website builder for Google business listings does not offer any real “SEO” optimization features at the moment. The intention behind the Google My Business website was to allow small businesses in developing countries the chance to create a simple, single page, mobile friendly website, that users could find out more about the business then the Google business page provided. Depending on how this is received by businesses globally, will depend on how Google My Business develops the Website builder. Given that the website builder does not offer any optimization features like, setting Title or Description meta tags, a business should concentrate on basic on page Local SEO principles, we detail list how to optimise your Google Business Website.